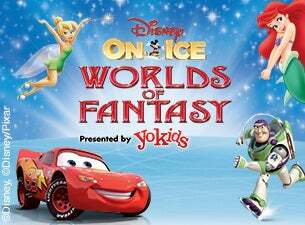 Produced by Feld Entertainment, Disney On Ice presents Worlds of Fantasy is performing at the Verizon Center from February 11th to February 16th. Tickets start at just $20.00 and with a variety of show times, there is certainly availability for everyone! Stay connected with Disney On Ice Presented by Stonyfield YoKids Organic yogurt by logging onto www.disneyonice.com, liking them on Facebook and following their YouTube! Feld Entertainment has provided me with 4 tickets to the 7:30pm show on Wednesday, February 11th for one lucky reader! Enter below for your chance to win!